¡Buenos Días! I went to my local farmer’s market last night to pick up a few things and was quite ashamed that I didn’t immediately respond to the cashier in Spanish as she commented on the large size of the apples I was purchasing. I used to be able to think, write, and speak Spanish without a moment’s notice. 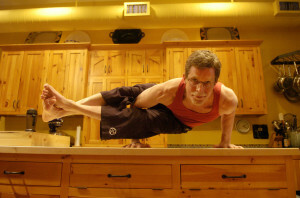 Now, I’m lucky if I can mutter more than a phrase about how I am out of practice because I have no one to speak it to at home. Quite a crime, actually. In any case, I proceeded to listen to the Spanish station on my way home in the car to make up for my lack of practice. I struggled through the commercials and eventually gave up on my mental translation to call my boyfriend. Ah, such is life I suppose. So in honor of my severely lacking Spanish skills, I give you CARNE ASADA! 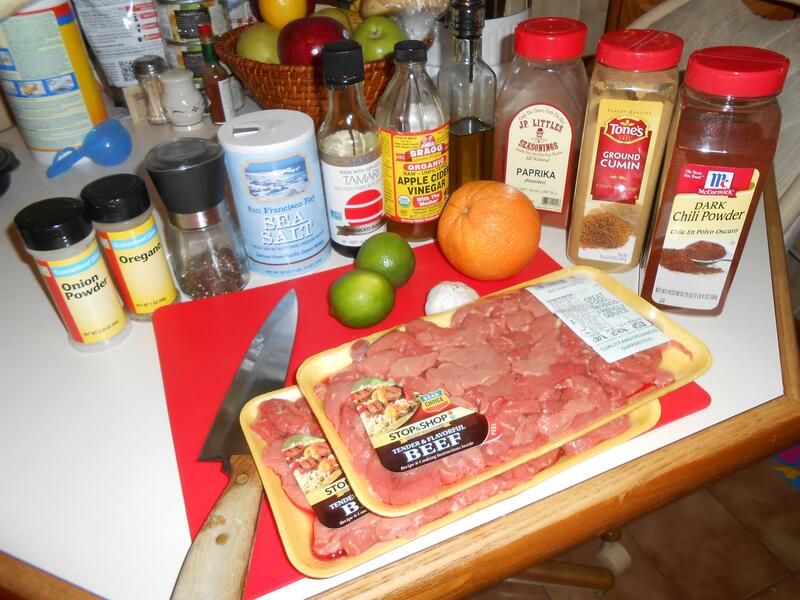 So to get started, gather all of your ingredients: Beef, garlic, orange, limes, chili powder, cumin, paprika, olive oil, apple cider vinegar, tamari, oregano, onion powder, and s&p . I used beef round stir fry. Is it a tough cut of meat? Sure. Is it cheap? Absolutely. Cheapest meat in my supermarket. Use whatever suits your taste. If your beef is not already sliced, slice it into thin strips and place in a zip-lock bag. Juice your orange and limes over the zip-lock bag. You could use a fancy juicer if you have one, but I like to just use a fork and my hands. 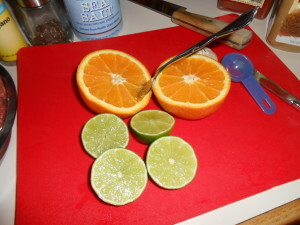 Stab around the citrus with the fork to tenderize the pulpy center and squeeze. The stabbing allows you to extract the most juice by hand. Add in the peeled garlic cloves. 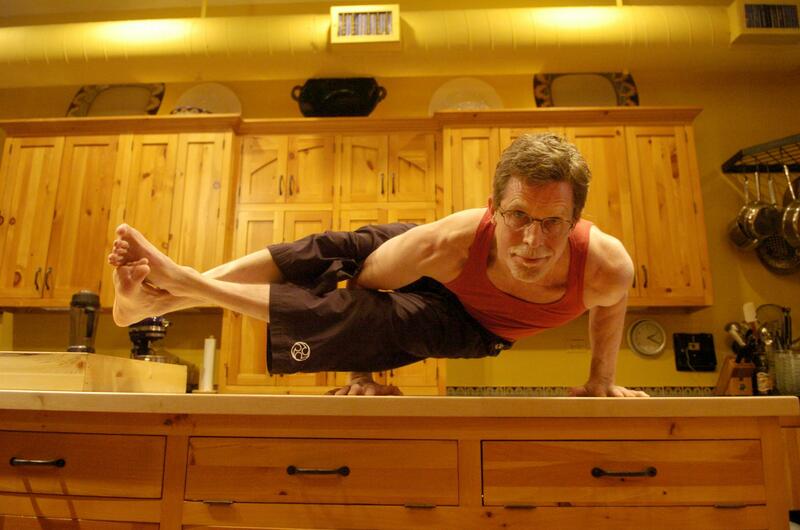 Now, if you’ve been an awesome and dedicated reader, the next step should be very easy! 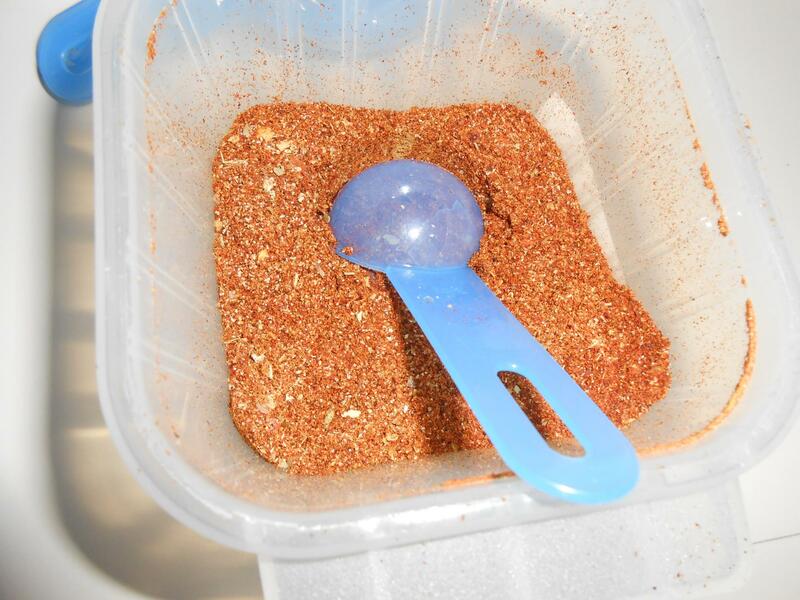 Add in a few teaspoons of my paleo-friendly taco seasoning instead of measuring out the rest of the spices. It already has all of those spices in one container! If not, then measure out of your spices and add to the meat. 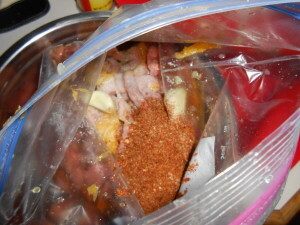 Seal the zip-lock bag and give everything a good mix until it looks like all the meat is coated with the spices and juices. Toss this in the fridge for at least 4 hours up to 24 hours. 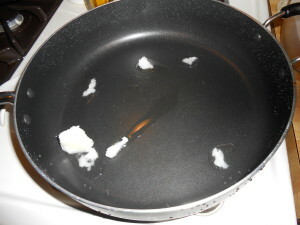 After the meat has marinated for a few hours, melt the fat of your choice (I used coconut oil) in a large frying pan over medium/high heat. 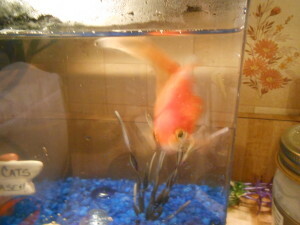 Say hello to Canolli, my other sous chef! 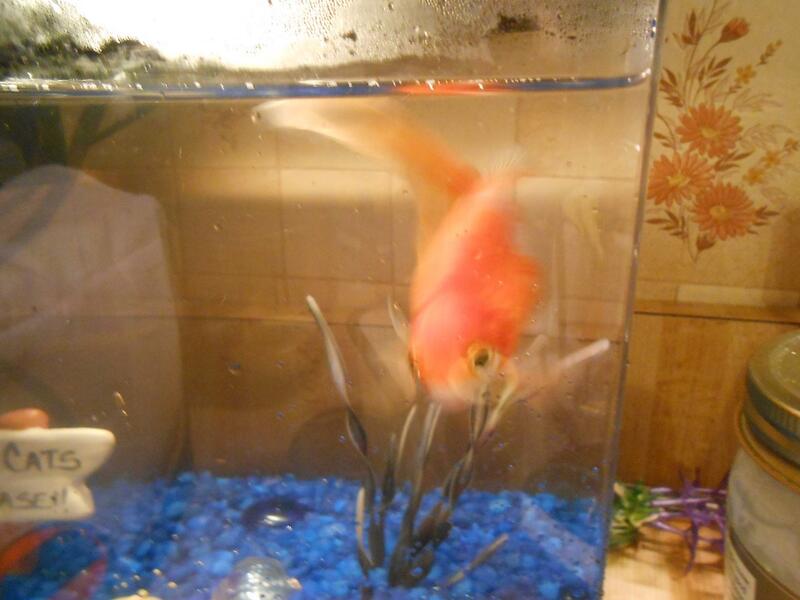 Poor fish, I think the flash from my camera gave him a shock! 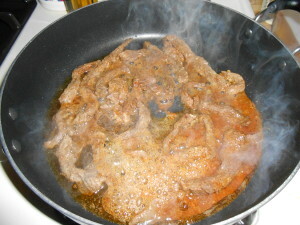 Add the beef to the hot pan and fry each side for about 2-3 minutes. Cook it in batches to make sure the meat gets a nice sear. If you dump everything in at once with the liquid, the meat will come out more steamed than seared. If that’s what you’re into, go for it! Annnnnnnd here’s the finished product! Mmm! 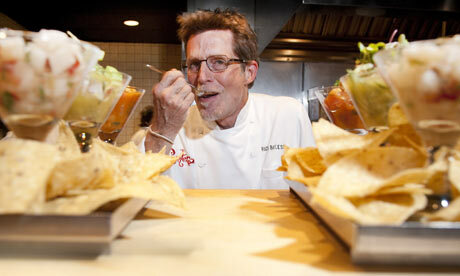 I don’t know about you, but Taco Bell was one of the hardest things for me to give up when I started eating Paleo. 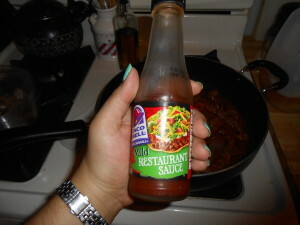 However, the Paleo gods have bestowed upon us Taco Bell Mild Restaurant Sauce – completely Paleo-friendly! Hooray! It tastes great on just about anything, but especially on this meat. If that’s not your thing, you can always eat it with some guacamole and salsa or wrapped in lettuce cups (or a mixture of all of those!). Thanks for stopping by! Aloha! 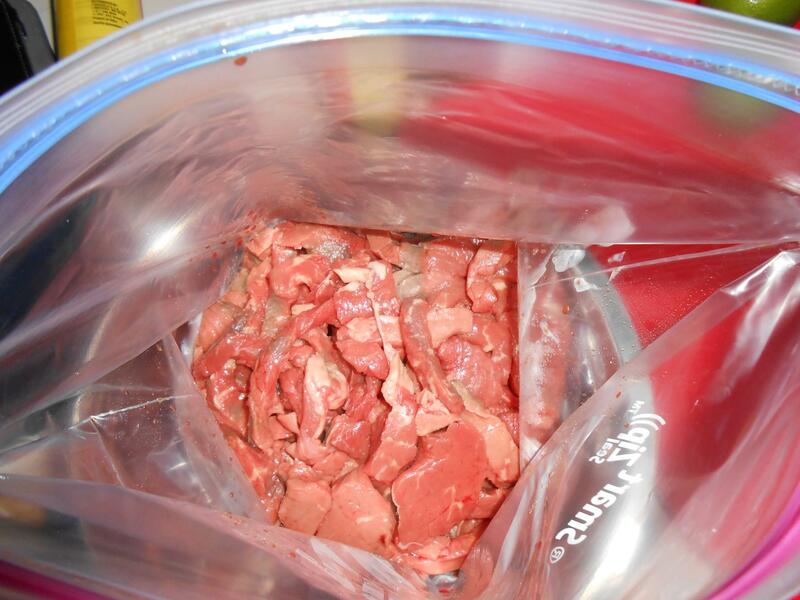 Slice your steak into thin strips and place in a large zip-lock bag. Juice your orange and limes into the bag. 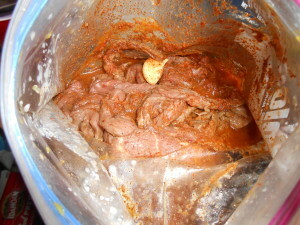 Add the remainder of the ingredients to the bag, seal, and give it a good shake to mix all of the ingredients together and coat the meat well. 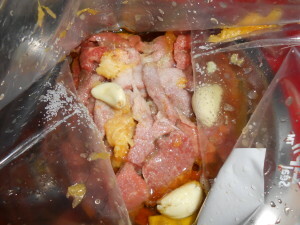 Place bag into refrigerator and allow to marinate from 4-24 hours. 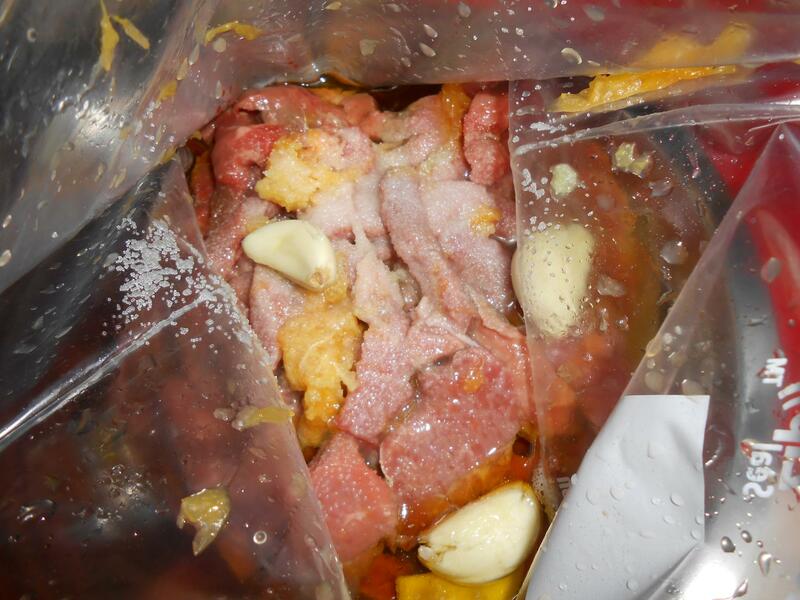 When you are ready to cook the meat, remove the bag from the refrigerator and drain the liquid. Heat the fat of your choice (I used coconut oil) over medium/high heat in a large frying pan. 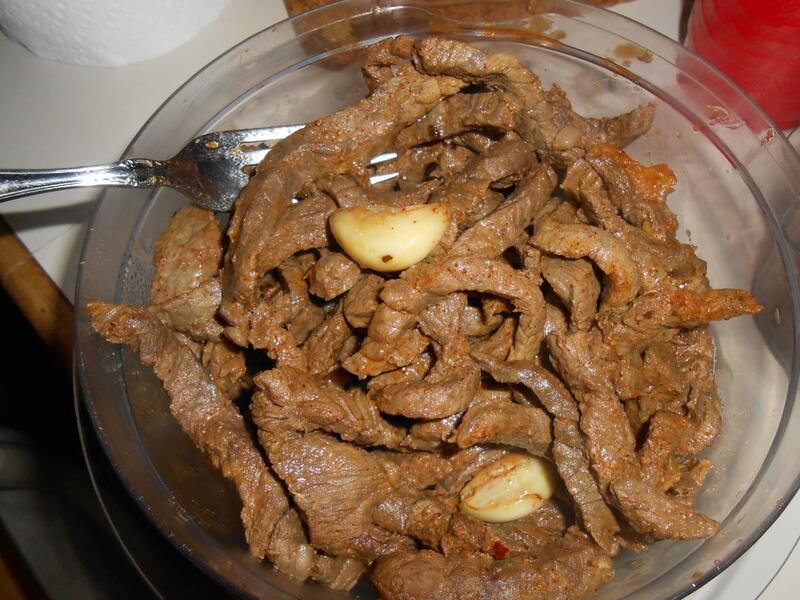 Cooks the meat for about 2-3 minutes on each side (cooking time depends on the thickness of your meat). Cook the meat in batches to ensure each piece is seared nicely on each side.